I stay with some color in my hair. I personally feel boring with just dark brown- the same color that 95% of Black women have. I like to mix it up a bit and be a little different. I always look to new color trends, but I generally stay in the blondes. 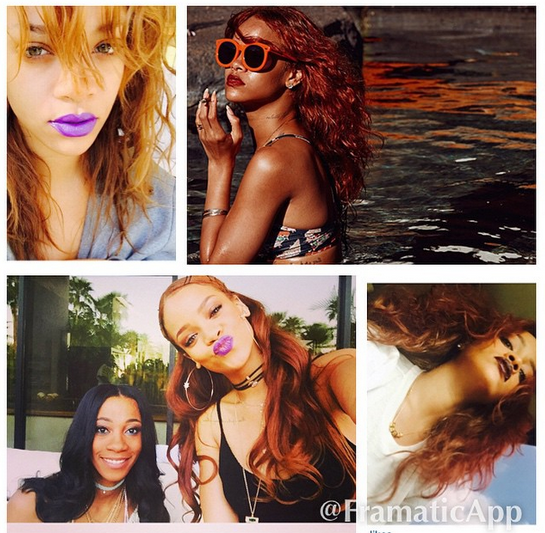 I have been pondering new hair colors and I noticed Rihanna’s new ginger hue! I love this color. It is so vibrant. It’s different than the typical red shades that people get. I like it alot! This color is thanks to Angela C Styles who you may remember from Kim Kimble’s TV show. Not sure if she is still on the show since I haven’t seen it in forever. It’s awesome how she has bloomed so much since I saw her the first season when she was looking to get more celebrity clientele. Well, Rihanna is at the top so thats awesome! Congrats to her and her success! 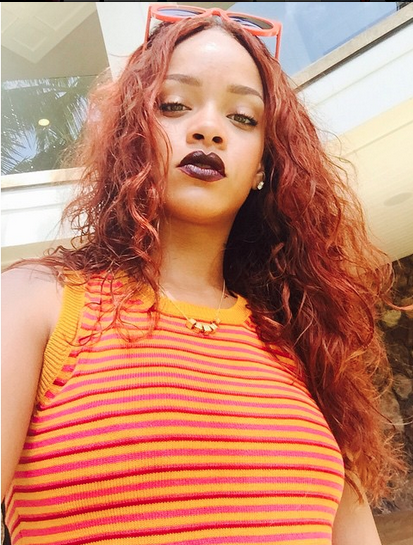 I look forward to seeing Rihanna rock her ginger locks with different styles. It’s such a pretty color! 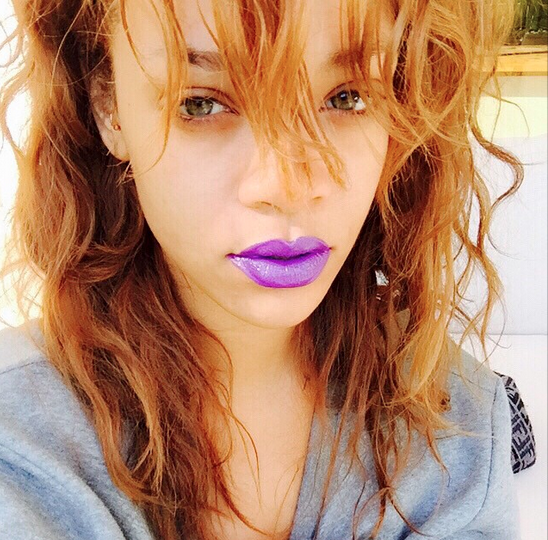 What do you think about her new color?